Laron has been significantly involved in the fabrication, installation, repair and/or modification of piping and liquid handling systems since 1998. Laron earned the ASME Boiler and Pressure Vessel Code “S” and “U” and the National Boiler Inspection Code “R” stamps in 2000 and has held those certifications continuously since earning them. Laron’s reputation in the Boiler, Pressure Vessel and high pressure piping system world is stellar. Laron is considered the “go-to shop” for repairs to systems which must use Nine-Chrome piping and/or exotics such as Hastelloy, Inconel or titanium. 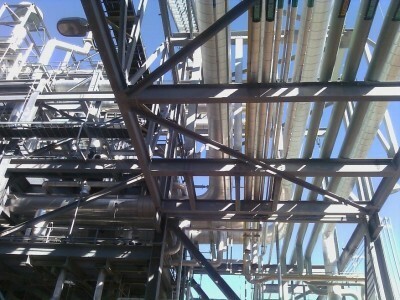 In a recent project, Laron was selected to replace specialized Hot Oil Thermal Piping in a major Thermal Solar Plant. In the work which was an upgrade to the installed system, Laron accomplished thousands of “in-system” welds on thin-wall stainless piping with weld failure rates that were less than .01%. 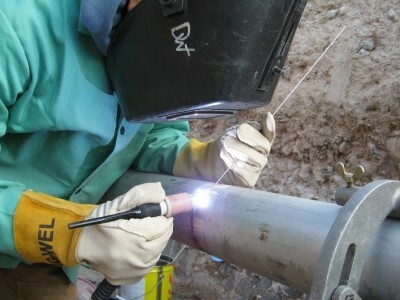 Each weld was inspected and all weld quality was documented and documentation provided to the customer. The work was accomplished on an accelerated time-line, within budget and meeting all quality/operational requirements. 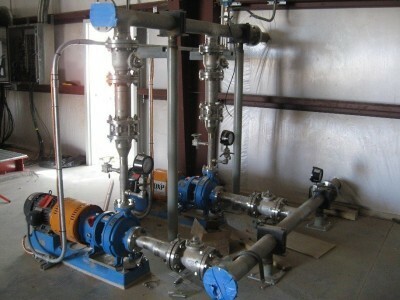 Laron has fabricated and installed Fuel Oil Transfer Piping systems. In one such system, the offload system failed to achieve the offload rates which were initially expected. Laron analyzed the system and determined that “head-loss” in the system was restricting flow. Laron proposed an alteration, which was approved and installed (and is still in use today) which allowed the system to operate near the volumes which had been initially expected. Laron has accomplished extensive work in Acid Systems found in mines and power plants. Dealing with these hazardous chemicals (which include concentrated Sulfuric, Hydrochloric and Nitric Acids) presents a hazard to personnel, equipment and complicates the work which must be performed. 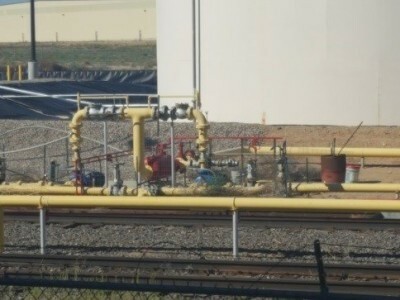 Although most acid system work may not have some of the flammability concerns of working with fuel systems, particularly concentrated nitric acid (used in power plant Emission Control Systems) is not only extremely corrosive and toxic; it can present an Explosive Hazard. 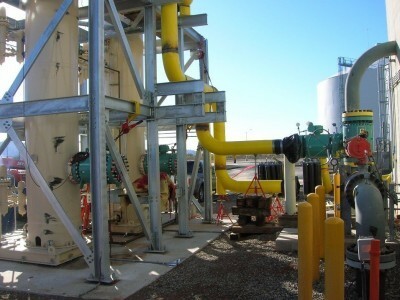 Nitric Acid is handled in exotic metal piping systems to include Hastelloys and Duplex materials. Laron has developed a strong record of performance in safely fabricating/repairing and working on these systems in the power plant, mining and various industrial environments.